I dropped the ball on this post. I didn't take any pictures of this recipe... So you'll have to use your imagination a bit. Picture a creamy soup dotted with bits of potato, sweet corn, and bacon that is flecked with fresh parsley and lemon thyme. A great summer-fall transition recipe, you can use summer's last sweet corn to make a cozy soup. High quality frozen sweet corn also might work well, but I haven't tried it yet. Here's a photo from a recent trip that I took. 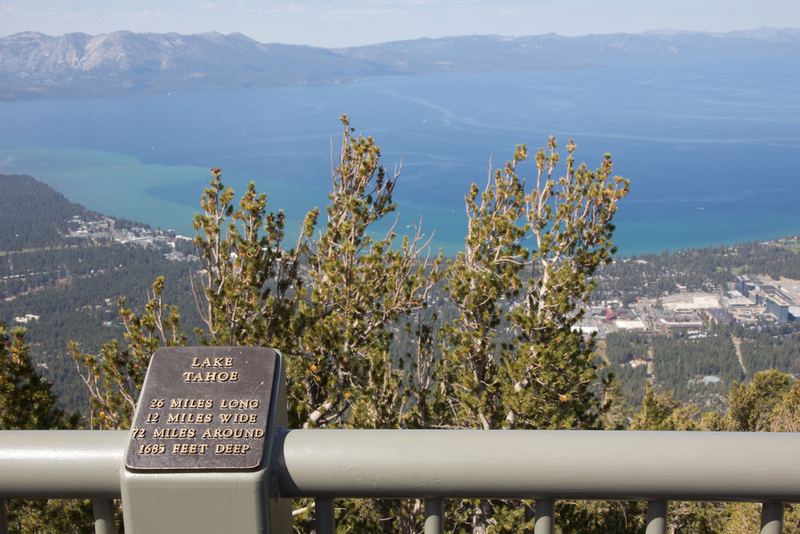 Not necessarily the same as a corn chowder picture, but the view from Heavenly is not too hard on the eyes. All I think about when I see Tahoe during the summer months is, "I can't wait for it to start snowing!" - Over medium heat, heat the tablespoon of olive oil in a large soup pot and cook bacon crispy. Add onion and sautée until soft, about 5 minutes. - Add garlic and cook for 20-30 seconds. Add potatoes and cook for about 5 minutes, stirring occasionally. Don't worry if they stick to the pan a bit. - Sprinkle the flour over the potatoes in the pot and stir to cook & incorporate. Cook for 2 minutes. - Add three cups of stock and bring to a boil. Add the thyme leaves and simmer until the potatoes are soft, about 7 minutes. Add cream and corn and simmer for 5 minutes. Taste to check the doneness of the corn and potatoes and adjust the seasoning with salt and pepper. - Let the soup rest off the heat for about 5 minutes to cool and thicken slightly. Serve topped with the chopped flat leaf parsley and fresh bread. CSA Box- Picking up your veggies on a bike.